Costochondritis and Tietze syndrome are associated with chest wall pain. 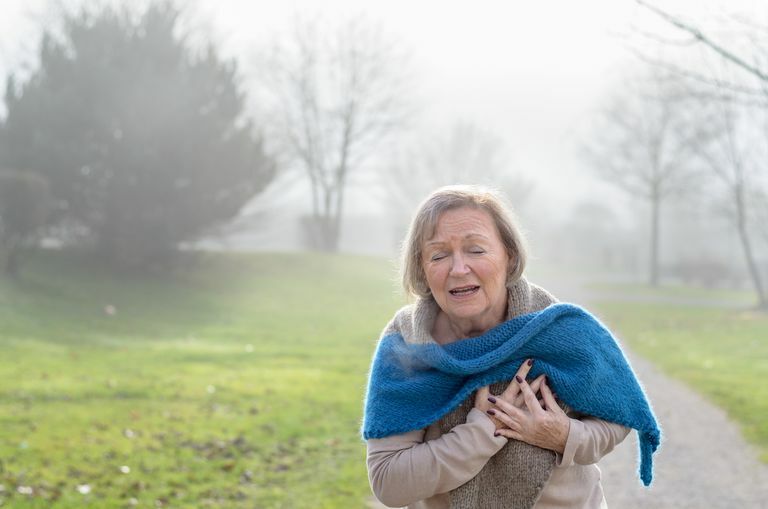 While chest pain is not an uncommon symptom, it is disconcerting, to say the least. When faced with chest pain, people typically think of a heart attack. But, several other conditions are also associated with chest pain. Aside from cardiac issues, costochondritis, and Tietze syndrome, chest pain may even be associated with pulmonary or gastrointestinal disease. Pain also may radiate to the chest with cervical or thoracic spine disease. It is imperative for someone with chest pain to be assessed immediately and have the cause determined. While costochondritis and Tietze syndrome are often regarded as different names for the same condition, there is one feature that distinguishes between them. Costochondritis and Tietze syndrome are both caused by inflammation of costochondral junctions of ribs or the chondrosternal joints of the anterior chest wall. Both conditions are characterized by tenderness of the costal cartilages—the cartilages that connect the sternum (i.e., breastbone) and the ends of the ribs. However, there is local swelling with Tietze syndrome and no swelling with costochondritis. That's the main difference. is more common than Tietze syndrome. is associated with pain and tenderness of chest wall, without swelling. is associated with tenderness that usually extends over more than one costochondral area in 90 percent of cases. usually involves the second to fifth costochondral junction. is also referred to as anterior wall syndrome, costosternal syndrome, parasternal chondrodynia, or chest wall syndrome. typically develops in those over 40 years old. is less common than costochondritis. is characterized by onset that may be gradual or sudden. is characterized by swelling which usually occurs in the second or third costal cartilage. can involve pain that radiates to the shoulder and is aggravated by coughing, sneezing or movement of the chest wall. is associated with tenderness that is palpable (i.e., tender when touched or felt). involves just one costal cartilage site in 70 percent of cases. typically develops in young adulthood, before age 40. During a physical examination, chest pain that can be reproduced with palpation over the costal cartilages generally is enough to make the diagnosis of costochondritis in children, teens, and young adults. An EKG (electrocardiogram) and chest x-ray are usually recommended, in addition to the physical exam, for people who are older than 35 years of age, people who have a risk or history of coronary artery disease, or anyone having cardiopulmonary symptoms. Treatment of costochondritis essentially focuses on pain relief. Acetaminophen, nonsteroidal anti-inflammatory drugs (NSAIDs), and other analgesic drugs are typically prescribed to manage pain associated with the condition. Along with prescribed medications, pain management may include rest, heat compresses heating pads, and avoiding any activities that increase pain. Physical therapy is rarely needed, but in certain cases, it may be helpful. Lidocaine/corticosteroid injections into the affected costochondral areas may be considered, especially if other treatment options are providing little to no relief, but it is rarely needed. The duration of costochondritis varies. The condition typically lasts for a few weeks. It may last for months. Almost always, costochondritis is resolved within one year. It is possible, but rare, to have a more persistent case of chest wall tenderness with costochondritis. People who have rheumatoid arthritis are at greater risk for cardiovascular disease compared to the general population. Awareness of the greater risk makes chest pain understandably scary for people with rheumatoid arthritis. If you experience chest pain, the importance of being evaluated, without delay, cannot be overstated. Chest pain is a medical emergency and symptoms must be checked out. Primer on the Rheumatic Diseases. Arthritis Foundation. Thirteenth edition. Proulx, Anne M. DO and Zryd, Teresa W. MD Costochondritis: Diagnosis and Treatment. American Family Physician. 2009 September 15;80(6):617-620. Tietze Syndrome. NIH. GARD (Genetic and Rare Disease Information Center). November 11, 2014. Which Joints Are Most Commonly Affected by Rheumatoid Arthritis? Why Are You Experiencing Bone Pain?